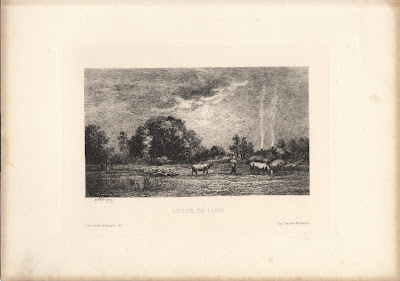 Prints and Principles: Daubigny's etching, "Lever de Lune"
Daubigny's etching, "Lever de Lune"
Inscribed with signature under the image borderline (lower-left) and at plate edge (lower-left) "Les chefs -d'oeuvre _ 47"; the title (lower-centre); and the printer’s name (lower-right) "Imp. Chardon-Wittman." 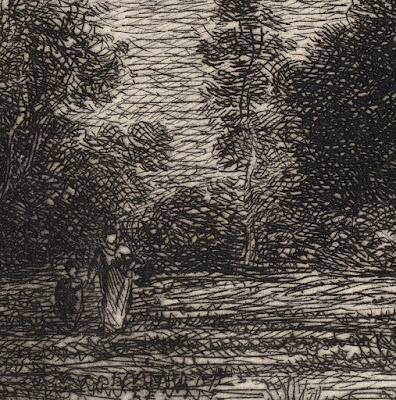 Condition: Rich impression with full margins as published. 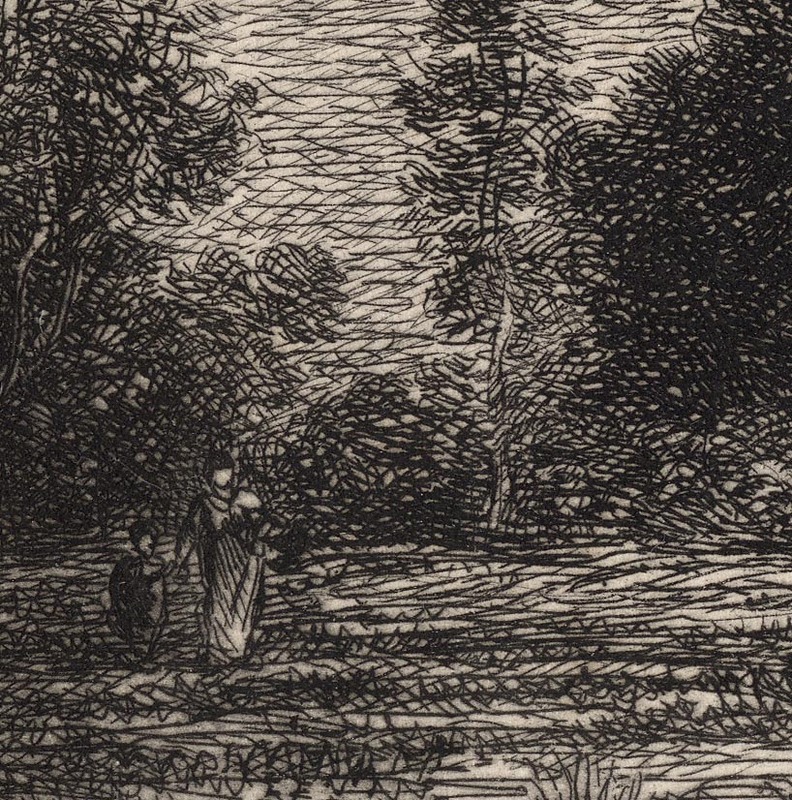 There is light foxing, age-darkening at the edges and an area of lightening of the paper margin at the top-right; otherwise the print is in good condition. 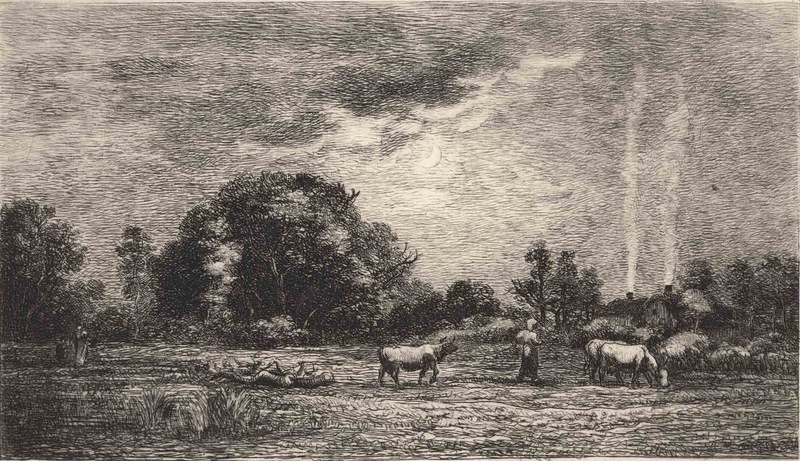 I am selling this beautiful etching by Daubigny which epitomises the Barbizon School that changed the course of printmaking for a total cost of AU$145 (currently US$109.35/EUR97.93/GBP83.42 at the time of posting this listing including postage and handling to anywhere in the world. If you are interested in purchasing this etching please send me an email and I will email you a PayPal invoice. Prints like this very romantic image of the evening settling upon the rural landscape as a farmer attends to his cows followed by a woman carrying a child and holding another by the hand (no doubt his family) exemplifies the famous Barbizon School of artists. 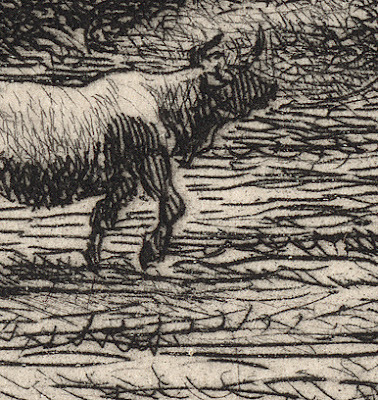 Although the print is small in size it is (without wishing to sound too pompous) epic in scale in terms of the layering of meanings it projects. What I mean by this grand statement is that at the time the print was executed there was an exodus of country folk heading out of the rural pastures to the greater fortunes of the newly industrialised cities. 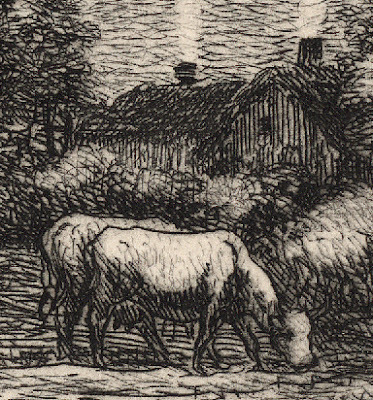 Essentially, this print is like a bucolic icon created to stand as an image evoking a fading era. 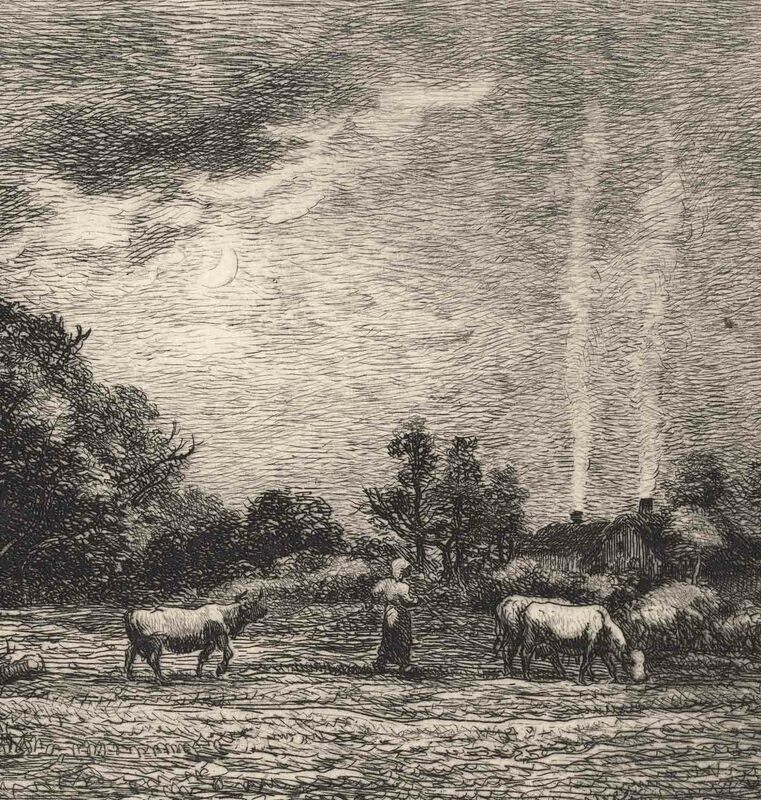 How sad and deeply significant this print must have been for Daubigny as he drew what may well have been the last true souls of the rural landscape before industry changed everything.